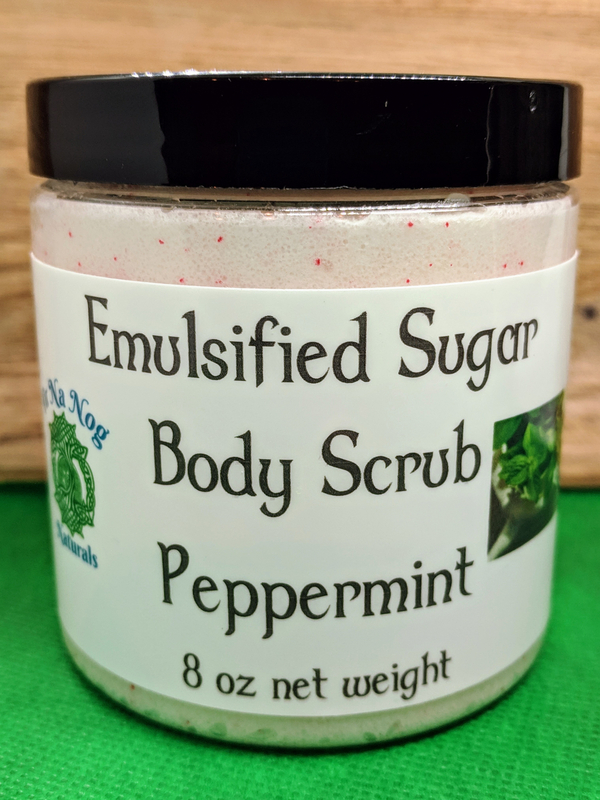 Ever had a sugar scrub that ended up with a pool of oil sitting on top that had to be stirred in every time you used it? That won't happen here! The emulsification allows all ingredients to stay suspended together, and as a bonus, the scrub turns into a lotion on contact with water! That's right, a scrub and shower/bath lotion in one easy step. Each tub is 8 oz by weight. 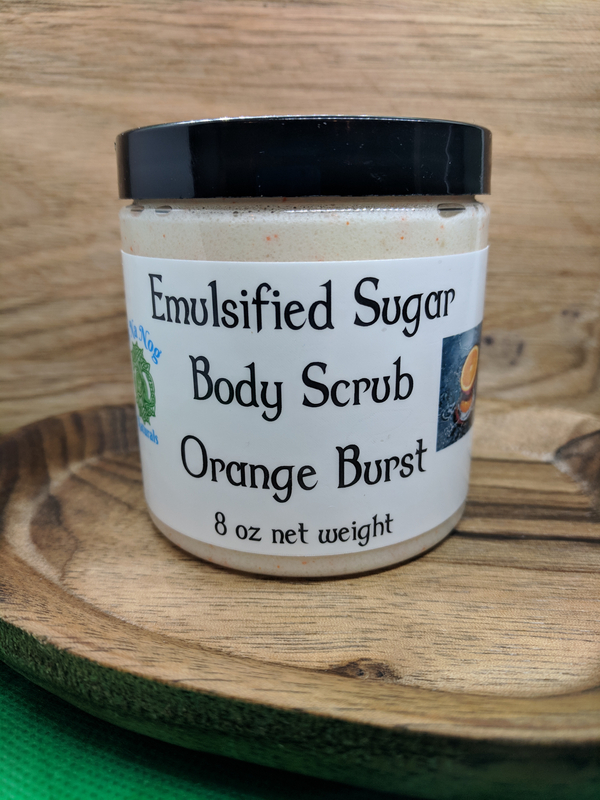 Listing is for one (1) tub of sugar scrub. 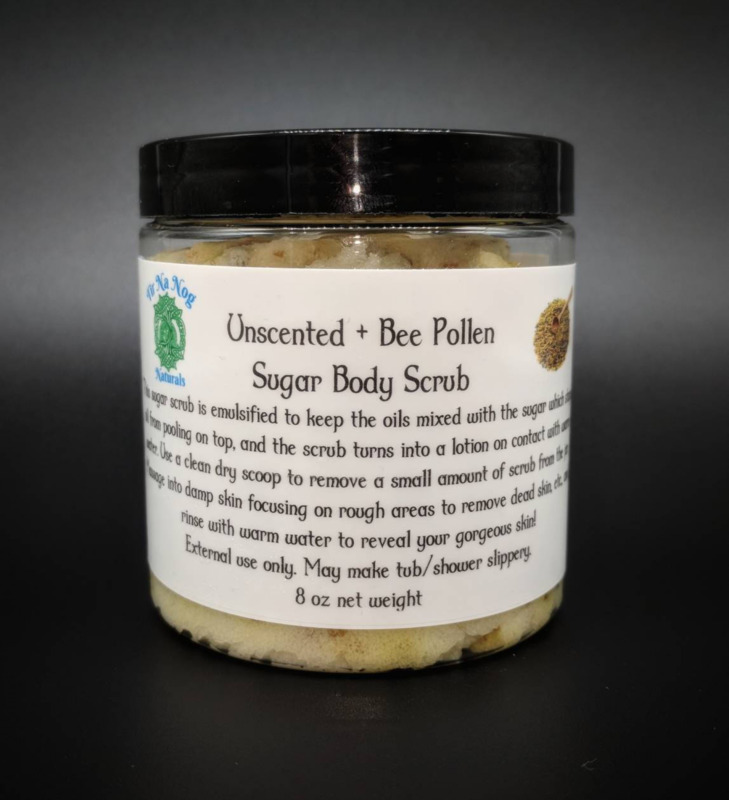 Any scent can have bee pollen added for no extra charge; just put "add bee pollen" in the order comments. Please note that custom orders may have up to 2 business days production time added, though I can usually get them out the following day. A star after the scent name (*) indicates the use of all-natural scent from essential oils or plant-based fragrance oils (may use any mix of essential oils, extracts, and/or plant-based fragrance isolates such as limonene from citrus); or it is unscented. Products without the star indicate the use of synthetic fragrance oil. Phenoxyethanol, caprylyl glycol, and sorbic acid are from Optiphen Plus, the non-paraben preservative used.